Anne Devine talks to Jo Holden, Mercer UK CIO, and Clare Flynn Levy, Essentia CEO, about how applied AI can improve performance in the investment advisor industry. Proinsias O’Mahony discusses the revelation that fund manager behavior can change significantly after a winning or losing streak. Download the research referenced in the article. We’re growing! Robin’s appointment will help Essentia to engage fully with the increasing number of asset managers that want to adopt behavioral data analytics. Essentia CEO Clare Flynn Levy is interviewed in a new discussion on the impact of machine learning and behavioral analytics on asset management. Clare begins at 26:30. As Essentia continues to grow and attract new clients, we’re delighted to announce the appointment of our first CMO. PODCAST – Frank Curzio discusses the new generation of behavioral data and how it’s being used by portfolio managers to understand and improve their investment performance. Calculus invests in Essentia, enabling the leading provider of behavioral analytics to further develop its service, and scale its client base of fund managers around the world. Bloomberg’s John Tucker and Peggy Collins talk to Clare Flynn Levy about how hedge fund managers are using behavioral data and analysis to play to their strengths. Robin Wigglesworth reports on how active managers are augmenting their expertise through the strategic adoption of automation, algorithms and big data. Photos and highlights from the Allianz AI hackathon – held November 13-15 and focused on the application of AI to the active investment process. A new research paper from Essentia, Holding the Line, finds that performance streaks, both winning and losing, change fund managers’ behavior. Essentia Analytics one of five financial technology businesses selected to take part in the UK Investment Association’s new Velocity Fintech Accelerator Program. Clare Flynn Levy named as one of the City’s 30 most inspiring women, bringing new ways of thinking and working to the financial services industry. Eze’s Investment Suite software now interfaces seamlessly with Essentia and its range of behavioral analytics and intelligent nudges. Essentia one of nine innovative B2B scale-ups chosen for PWC’s first Series A Accelerator program. Essentia CEO, Clare Flynn Levy, speaks at FundSeeder’s first ever Virtual Trader Summit. Access recordings of all the presentations via the link below. Former portfolio manager and Essentia Insight Partner, Jane Coffey, discusses change in the fund management industry and gives advice to people looking to enter the industry. PODCAST – Ted Seides talks to Clare Flynn Levy and Cameron Hight, both former portfolio managers, about the use of modern data analytics to enhance investment results. Michael Kollo of AXA Investment Management and Clare Flynn Levy discuss quantimental analytics and how the fund management sector is embracing artificial intelligence. Investment thought leader and Essentia Insight Partner, Cynthia Harrington, reviews the growing reach of AI but predicts that the real winners will be those who learn to combine the new technology with human judgement. Siobhan Riding talks to investment and technology experts about the skills fund managers can develop now to ensure their value in a more technology-centric future. Radio 4’s flagship news program talks to Clare Flynn Levy and Paras Anand (Fidelity International) about the importance of the fintech community to the UK economy. 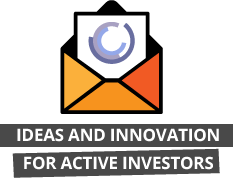 Sign up for more news about behavioral analysis in fund management. What will an asset management look like in 10 years from now? Investment experts discuss the likely roles to be played by data, AI and robotics in a consolidating industry. Axa’s COO Joseph Pinto discusses how Axa IM is using Essentia to give its managers valuable insights and the analytics to make better decisions. As human active managers come under increasing pressure to justify the value they add, Sam Shaw surveys the growing role played by data and behavioral science. Innovate Finance, representative body for the UK’s global fintech community, selects Clare Flynn Levy for its Women in Finance 2016 Powerlist. Essentia recognized as one of Europe’s leading IT and software providers serving the hedge fund sector. Marion Neubronner talks to Clare Fynn Levy about building a software business and how her own experience as a fund manager gives Essentia an intrinsic competitive advantage. Peter Lee explores how, by identifying and managing unconscious behavioral biases, Essentia Analytics is helping portfolio managers make more money for their clients. Essentia recognized by the Financial Times as one of five fintech companies with the ability to bring lasting change to the financial services sector. Drawing on Essentia’s work with portfolio managers, Clare Flynn Levy, Essentia CEO, presents five simple but effective techniques to reinforce the scientific rigor of your daily investment decision-making. Essentia CEO, Clare Flynn Levy, explains how her experiences as a fund manager inspired the development of a specialist feedback loop for professional investors. Robert Van Egghen reports on the growing number of asset managers using Essentia’s behavioral analytics to track and improve the performance of their fund managers. As Essentia launches a fundraising round on Syndicate Room, Ed Bowsher finds out about the rationale and growing market for Essentia’s behavioral analytics. Active management knows that change is needed if it’s going to survive and prosper. But what approach should its new internal innovation teams take to succeed? Research reveals that writing about a trading mistake in an investment journal like Essentia Note is an effective way to reduce stress and improve attention in subsequent challenges. In this article, Trading Behaviors, Clare Flynn Levy discusses the growing influence of cognitive science and the applied approach that’s necessary if we want to shift our more entrenched investment habits. Clare Flynn Levy talks about entrepreneurship, building a startup culture and why the smartest move is sometimes to ask for help. Clare Flynn Levy talks to Kate O’Flaherty about overcoming the obstacles to VC financing that can exist for female FinTech entrepreneurs. Charles Orton-Jones surveys the uptake of wearables technology and what it already means for a growing number of fund managers and traders. Based on the Essentia white paper, The Human in the Loop, this article explores the surprising parallels between the two professions. Feature (with worked examples) by Clare Flynn Levy and Eric Rovick showing how behavioural science and data are coming together to help active management confront its demons. The Journal of Applied IT interviews Clare Flynn Levy and finds out how cognitive science is being combined with advanced technology to create a new type of investment feedback loop. US Business Editor, Alexandra Frean, looks at how active managers are using Essentia to integrate behavioural finance into their everyday investment workflows. In recognition of its achievements in the first 18 months of growth, Essentia is named a Guardian Startup of the Year 2014. Barron’s Penta Daily explores how family offices are now using Essentia to hone process and increase performance on behalf of their clients. Essentia recognized for its success in delivering cloud-based software that uses behavioral analytics to help professional investors make more skilled investment decisions. Essentia Analytics has been selected by Boris Johnson, the Mayor of London, to join his FinTech delegation to New York and Boston from 9-14 February 2015. Elizabeth Lumley, in the first of her Women in FinTech series, talks to Clare Flynn Levy about entrepreneurship and the pace of fintech disruption within asset management. Essentia Analytics chosen as one of top ten European FinTechs startups to watch. Rebecca Burns-Callander finds out how our physical and mental state impact investment decision-making and how Essentia is using technology to leverage the best of human intelligence. Could Behavioral Finance Save Active Fund Managers? As active investing loses ground to passive instruments, MIT looks at how cognitive science and new technology is being used strategically by fund managers to formulate a response. How does behavioural science combined with data turn finance into a science? A revolution in financial descision-making is underway and Essentia Analytics is leading the way, writes Linda Unugboke. Essentia Analytics named as one of Europe’s 15 most innovative FinTech startups. Victor Anderson, editor of Waters magazine and WatersTechnology, interviews Clare Flynn Levy after Essentia wins the Buy-Side Data Analytics Award. Essentia’s behavioral software for professional investors wins Waters 2014 Technology Award for Best Buy-Side Data Analytics. Clare Flynn Levy’s pioneering work in helping fund managers make better decisions wins her recognition as one of the most inspiring female entrepreneurs working in the City. Clare Flynn Levy recognized as one of Europe’s most influential financial technology innovators. Savita Iyer-Ahrestani finds out how Essentia software is helping fund managers to measure and maximize their investment skill. After a difficult year for hedge funds, The Tally looks at Essentia, the fintech startup that’s helping them regain their performance mojo. Jason Voss explores how new technology is allowing portfolio managers to hone skill and apply the lessons of cognitive science to their everyday investment activity. A new crop of software companies has sprung up to provide “moneyball” stats that can help investors and their coaches uncover hidden strengths and weaknesses. Keep up to date with Essentia’s news and developments in behavioral technology for professional investors.